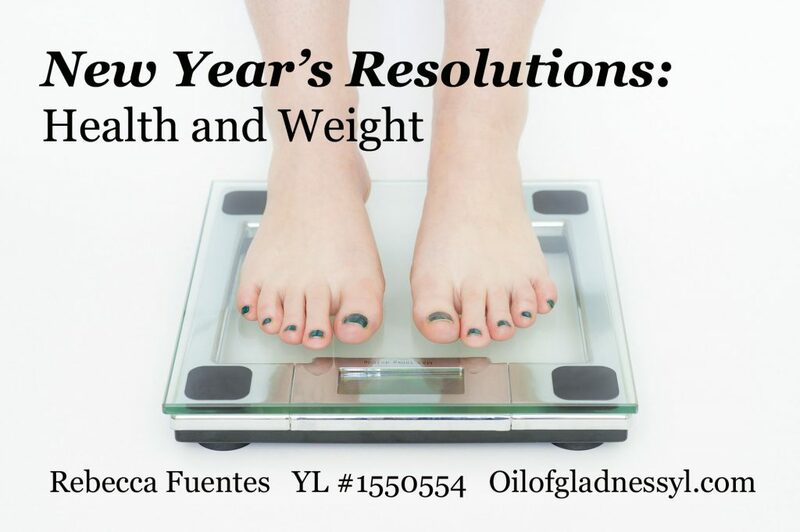 One of the most common and popular resolutions every January is weight loss. I’m pretty sure I’ve been making that one every year since I was about 13 (kind of sad, now that I reflect on it). Seriously, I opened Pinterest the day after Christmas to show my sister a recipe, and pins and ads for weight loss were all over it! Am I resolving to lose weight this year? Yup. I’m not at a healthy weight (yet). I am not at a healthy fat percentage, and I really do not have the strength and endurance I want to have. This year, though, I’m not starting something new with the new year. I’m just continuing what I’ve been doing for most of the past year–because I’ve taken off almost thirty pounds doing it. I lost almost 30 lbs in 2016. This is what I did and what I am continuing to do. What you put into you body (and food is a huge part of that category) is the biggest part of the health and wellness puzzle. Everyone is individual. What works for me might not work for you. Each of us must try and find what works best for each of us. I started 2016 on the Trim Healthy Mama plan. Don’t get me wrong, I have a lot of love for the THM ladies and their information and plans. I use a huge amount of their recipes and products. However, after losing about 6 lbs on THM, I stalled. For two months, I didn’t lost an ounce or a centimeter. To jump start weight loss again, I went low-carb. I lost about six more lbs, and stalled out again. I was frustrated. Was fitting back into my pre-baby pants too much to ask? I was still about ten pounds away from that. My pre-baby weight was about 20 lbs overweight anyway, but it would be nice to get back into my normal jeans and shorts. And although losing weight, looking better, and fitting into favorite clothes are all really nice, they weren’t the root reasons for sticking with changes. I have five children and the oldest is only ten. That’s five excellent reasons to be healthy and stay healthy. I know two men who died of sudden, unexpected heart attacks by fifty. A friend of mine lost her nephew to a heart attack at 39! (I’m 39, so that hits home). I did not want to wait until I was facing a health crisis. I wanted to get my body as healthy as possible now. So what has been working? Here’s the break down. Real food. I cannot emphasize this enough. Many foods available in the world are perfectly fine, even healthy, until they are processed into something unrecognizable. There are entire books and entire blogs written about what real food is and is not, and why it is nutritionally necessary to eat it. Meats. Eggs. Cheeses. Vegetables. Fruits. Nuts. Spices. If you cut out everything that isn’t fresh, minus certain canned and frozen things such as vegetables, you will be eating real food. Some people call this whole food eating and that works too. It means cutting out most, if not all, pre-packaged convenience foods. No sugar. Okay, so my contrary brother would point out that the carbohydrates in vegetables count as “sugars” because carbs get broken down into sugars. I think we can all agree that 100 grams of carbohydrate from broccoli and cauliflower is very different than 100 grams of carbohydrates from soda pop, though. I eat sugar about 6 days of the year. The other 359 days, my carbohydrates come from vegetables and any sugars are naturally occurring in berries. No grains. Grains make me gain weight. They make me bloated and give me all sorts of unpleasant digestive problems. They give me mood swings, brain fog, and leave me feeling drained and depressed. Some people don’t suffer from eating grains, but I recommend cutting them out for a month and seeing if you feel better. You might be surprised. Low carb. You probably guessed this from numbers 2 and 3. I keep my net carbohydrate count between 30 and 40 each day. Once sugars and grains are out, it’s pretty easy to keep carbohydrates low unless I eat potatoes or other starchy root vegetables. Only natural fats. That means, fats that can be naturally derived without resorting to high heat, chemical extraction methods, or other processes that denature the oils and change them at the chemical level. Natural fats are butter, lard, tallow, schmaltz, coconut oil, avocado oil, and olive oil. Popular oils like canola, corn oil, and soybean oil are touted as heart-healthy, but are actually inflammatory. It’s inflammation that drives heart disease and numerous other problems in the body. When I cut out the processed oils in favor of butter, coconut oil, and olive oil, the acne and oily skin that had been plaguing me since puberty cleared up completely. My skin is the outward sign of inner health! Staying well-hydrated. We all know we need to drink lots of water. But hydration isn’t just about water intake. It’s also about electrolyte levels, especially sodium. Eating a low-carb diet, whether your low-carb is under 100 grams/day, under 50 or under 20, means that your body doesn’t hold on to sodium. Staying well-hydrated and feeling good means getting enough salt, other electrolytes, and trace minerals as well as drinking enough water. Now that it’s winter, it’s hard to drink just water, so I add Young Living’s lemon or peppermint vitality oils to my water along with a good pinch of Celtic sea or Himalayan pink salt. It’s much more appealing that way! Intermittent fasting. Yeah, this is the big surprise. It’s what stopped my stall. When people hear the word fasting, they tend to freak out a little, but don’t worry. Intermittent fasting is not constant, long-term fasting (which is beneficial for people dealing with certain health conditions and while under a doctor’s care). It means that I don’t eat after dinner, and I keep 16 hours between dinner and breakfast (or more often, lunch). I don’t snack between meals. When I eat, I eat till I am satisfied, but then I’m done. It is amazing what intermittent fasting has done for my relationship with food. I feel in control of my appetite for the first time in my life. Frankly, that’s far more important to me than any weight loss. Notice what is not on the list? Exercise. Calorie-counting. I do want to get a good, solid exercise program going this year, but not so I can lose weight–exercise isn’t really a good weight-loss tool. It’s an excellent tool for increasing strength and stamina, improving sleep quality, improving bone density, and making the body look better once the fat is gone. As for calorie-counting, I am happy to leave it in the dust. It makes me obsessive. Eating this way leaves me feeling good. I can stay positive and energetic. Most nights, I sleep five or six hours (with nursing interruptions), but I’m not drained. I can trust my cravings now. If I crave meat, I know I need the protein. If I crave fats, I go ahead and fat it up. Craving sweets? Well, that tells me I need to hydrate, so I grab my water bottle! Even if I don’t lose another inch, I can’t deny that I feel better than I did five years ago, ten years ago–better than ever! Are you interested in learning more about a low-carb diet? Look up Diet Doctor. If you’d like to learn more about fasting, as well as the chemistry of weight gain and diabetes, check out Dr. Jason Fung’s work at Intensive Dietary Management. I recommend starting with this post. If you’d like a nutritionist’s view of both, head on over to Tuit Nutrition and read the amazing Amy Berger. I love how she digs into topics. There are many different ways to schedule intermittent fasting. I recommend reading and researching before starting.